Design8 bv in the Netherlands is distributor for Design and Visualization Software with over 20 years of experience in 3D CAD on Mac and PC. 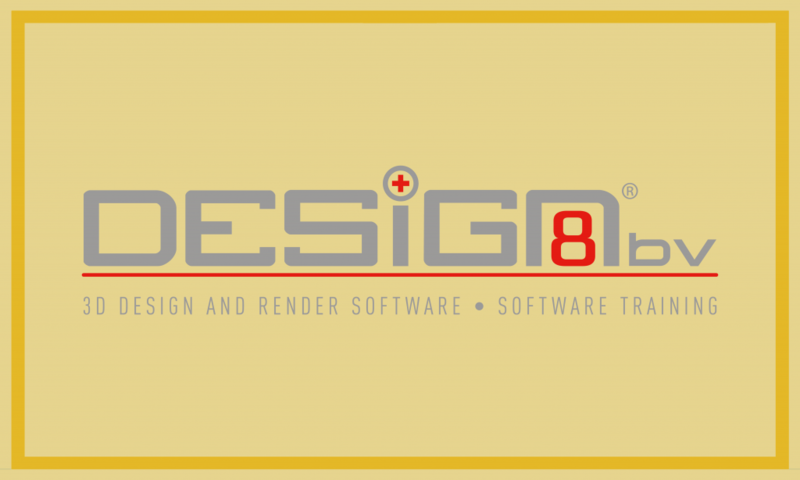 @ Design8, we support our end users and resellers with training and support. We believe that a designer needs to use design tools, not drawing tools. Design software should be easy to use, offer freedom of form at an affordable price. We are used to starting our design process on paper using a pencil and finish it using CAD. And that is fine. There isn’t a CAD system today that is as flexible as a pencil. But what if CAD software was holding that pencil, not you? Have the system scribble the best possible solution for you to take away while focusing your design skills on a product that is breathtakingly good looking and easy to produce. Today you can do that. With the solidThinking suite of products that guide you to achieve the best possible design in any given situation. In this workshop you’ll optimise a product using Altair Inspire and finish it using solidThinking Evolve, soon to become Altair Inspire Studio. Free one year licenses will be provided. Don’t simulate your design, design your simulation!